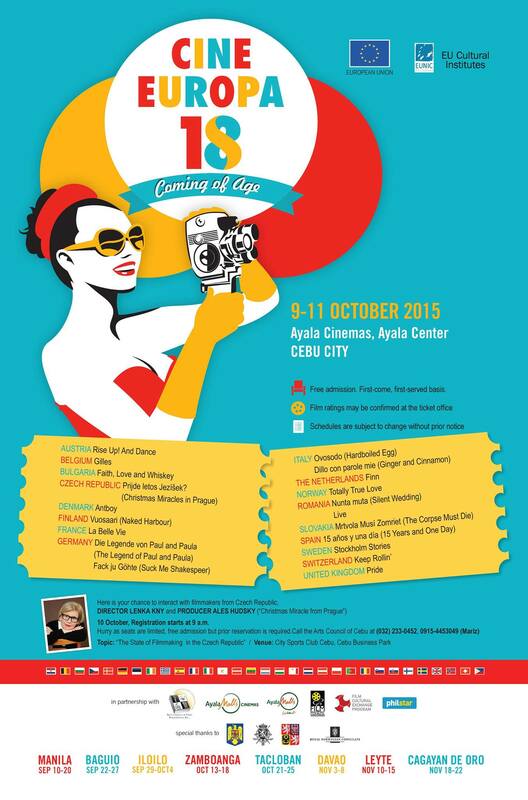 DANIEL PADILLA LIVE in Cebu, COUNTRY’S FIRST Laser Tag Horror Park Opening and More!. October 9-11, 2015, A Grand Weekend. 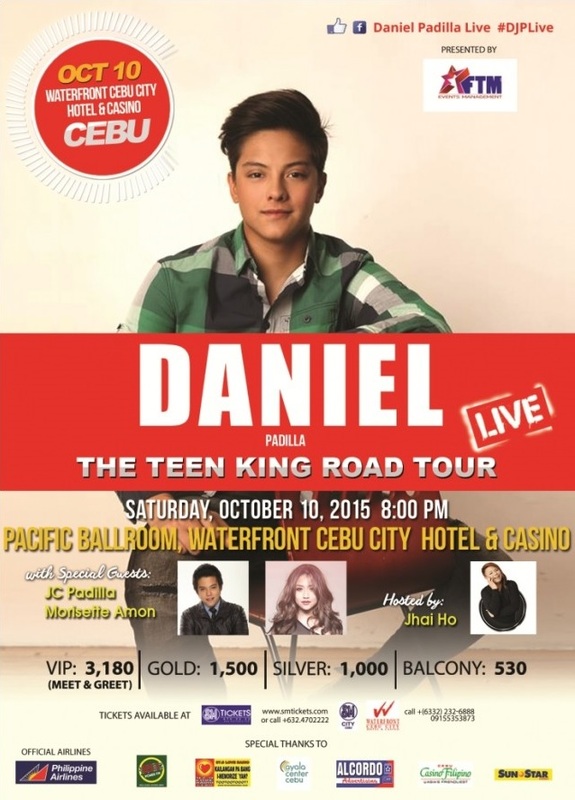 Daniel Padilla LIVE in Cebu! The Teen King is HERE! The Cebu leg of his road tour is all set and all that’s needed left is a seat with your name on it. Get to see the teen heartthrob perform LIVE! Call the Waterfront Hotel ASAP at (+63) 32 232 6888 or (+63) 915 535 3873 to see if tickets aren’t sold out yet or purchase them online through the SM Tickets website. Tickets are sold for ₱3180 VIP with Meet and Greet, ₱1500 Gold (Standing Only), ₱1000 Silver (Standing Only), ₱530 Balcony (Free Seating). It’s the season of film fests! This time, you can watch movies from different European countries for FREE. On their 18th year, the theme is “Coming of Age” because of the Cine Europa, organized by the Arts Council Cebu has grown and changed over the years, offering better and a wider range of choices in movies. The schedule is pretty packed with several different movies to choose from. Check the Cine Europa Facebook page for the schedule. For the movie descriptions, you can go to the European Union Delegation to the Philippines website. DJ Otto Knows LIVE in Cebu! LIV Super Club has done it again! In partnership with Vinyl Entertainment Cebu, they’ve brought another internationally-renowned talent to perform here on our shores. Party with the DJ behind the worldwide hit, “Million Voices,” DJ Otto Knows! Don’t hesitate to treat yourself and your friends to some VIP treatment. Visit the website of Vinyl Entertainment or check out their Facebook page for more information. October is meant for heart-pumping adrenaline and screams. That’s exactly what this year’s Horror Park is about. “SCREAM. FIGHT. 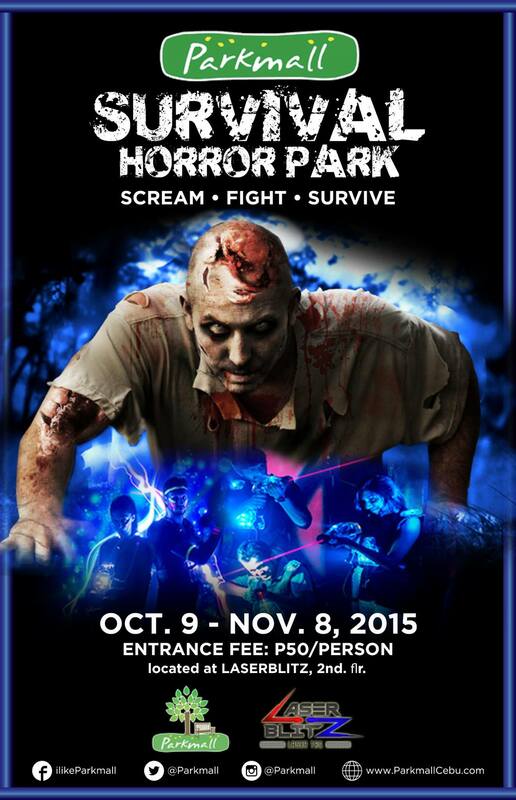 SURVIVE.” Another milestone for Cebu as Parkmall brings THE COUNTRY’S FIRST laser tagging horror park. See if you’ve got what it takes to survive a zombie apocalypse. Be the first to experience it! Food, lifestyle bazaar, food, games, party, and food again! CEBU’S VERY FIRST online food delivery service will be having their grand launching. Bring all your friends and check out the stalls of their partner restaurants all in one place like The Burger Joint, Tiktilaok, Toniq and more! Admission is FREE! One of the country’s top bands has flown here to Cebu to serenade the people of the City of Naga, Cebu for their Fiesta! Head on over and don’t miss out on their live performance. Check out their Facebook page for updates on all their latest events.